The first British West Indies style model is expected to be completed in the spring of 2015. “We are excited to be selected as a home builder in The Lake Club and are committed to delivering exceptional homes in this prestigious community along with the exemplary customer service our clients have come to expect,” says Steve Murray, President of Murray Homes. Murray Homes is the exclusive builder in Staysail Court in The Lake Club. 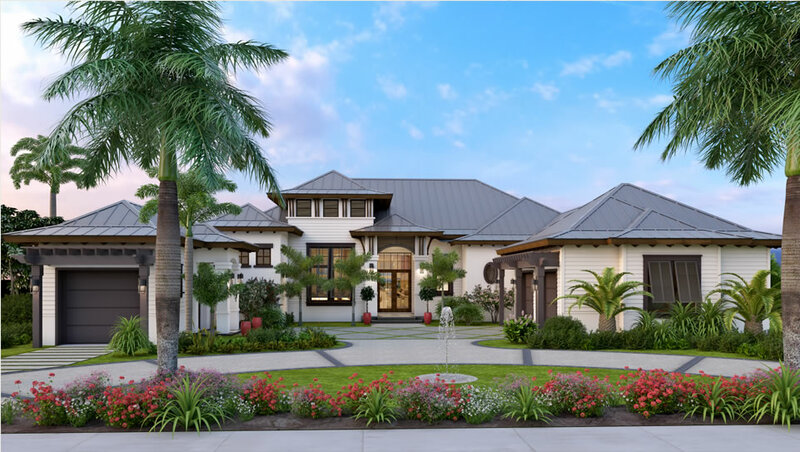 The family of homes designed for the enclave has been inspired by the America’s Cup and will reflect the British and European heritage of the Murray family as well as their passion for offshore racing. The first model, scheduled to open in the spring of 2015, is named after the 106-ft. racing yacht Resolute. She was designed and launched in 1914 and sailed to victory for the U.S in 1920. This entry was posted in Architecture and Design, New Homes by admin. Bookmark the permalink.